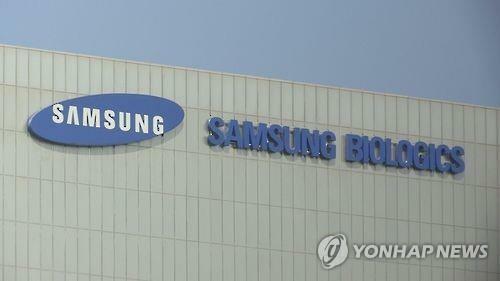 Samsung BioLogics Co., a medicine-producing subsidiary of South Korea's Samsung Group, on Thursday won preliminary approval from the nation's bourse for its listing plan. It allows the firm to start the formal process for the initial public offering estimated to value at around 3 trillion won ($2.7 billion). Wrapping up more than a month-long review, a related committee of the Korea Exchange concluded that the company is qualified to be listed on the KOSPI market. The exchange plans to make its final decision on whether to permit the firm's listing after its IPO. Samsung BioLogics is a contract manufacturer of biologic drugs, made from living cells, for global pharmaceutical firms. It is 52.1 percent owned by Samsung Group's de-facto holding company Samsung C&T Corp. and 47.8 percent controlled by Samsung Electronics Co., a global tech giant. Samsung BioLogics owns 91.2 percent of Samsung Bioepis Co., which develops copies of biotech drugs that are often called biosimilars.